Capitalists@Work: Andrew Mitchell should just punch someone. Andrew Mitchell should just punch someone. Chief Whip, and Tribune of the people, Andrew Mitchell is still in the news. Despite the cycle rumbling on for three weeks or more since Mr Mitchell allegedly called members of the police force 'Plebs' he remains a focus of the media. The Left wing papers have been vocal in their calls for the man to resign but so to have the others. The Daily Telegraph also think he should resign his position 'for the good of the nation.' Labour MPs are tabling a publicity stunt motion that would see Mitch paying £1,000 for using a public school word to someone in authority and trying to use the old 'don't you know who I am? line.' A pretty serious offence, granted. 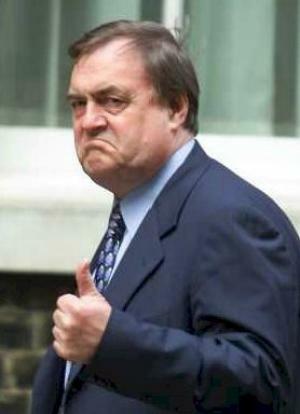 Earlier in political history, whilst in office, the MP for Hull and Deputy Prime Minister of the United Kingdom, John Prescott, punched a member of the public in the face. Live on TV he turned and lamped a man in acrowd. Mr Prescott had been provoked by the man. An egg had been thrown. He was told off by the Prime Minister for his poor conduct. A rebuke was his punishment. Eventually he was given a travel brief, sending him to the Far east as a special envoy.He resigned as Deputy Prime Minister when Tony Blair announced his resignation. A longtime campaigner against the House of Lords, John Prescott accepted a peerage and entered the House of Lords. He claimed £41,000 in expenses for that role for last year. He is also standing for the post of an elected police commissioner, paid at some £75,000. So.. If Mr Prescott never resigned for his misdemeanors, and there were plenty of others involving foreign travel, expenses and a House of Commons credit card, is Andrew Mitchell's offence really a resigning issue? You've got to remember Mr Mitchell is an evil, baby eating member of a Tory led coalition government. Whilst Lard Melton of Mowbray is, well just John. If Mitchell really did use the "pleb" word then he is an utter imbecile and not fit for politics. Sadly of course I have no idea what he actually said. BB: Of course..I was forgetting.He's a Toff and needs a guillotining to sort his manners. Jer: He is certainly a poor politician. He's managed to keep the non story alive for weeks. Poorly advised or pig headed? probably both. The PM has to support him. Otherwise every drunken backbencher making a fool of themselves at a taxi rank has a precedent that says they must quit. so it was you at Paddington last week! No, BQ. I don't think it is a resigning issue and had I been the copper on the gate this story would have gone nowhere. The police are in revolt and serving soldiers are about to march on Parliament. Unprecedented. And an indication if ever there was that this is not a true Tory government. This budget now totals an amount similar to our policing budget by coincidence. The police are facing massive cuts and many experienced (and expensively trained) coppers are finding that they are unable to extend their service and that their positions are not being back-filled. Mr Mitchell's outburst has made all that expense a total waste. He ought to have gone straight away for this reason. Because he didn't Mr Cameron is unable to repair the damage done to his party. The policy of foreign aid (exceeding police budgets) has blown up in his face somewhat. This is the - normally Tory supporting - Police Federation at work in my opinion. The role of the police in keeping this story alive and in demanding his resignation (WTF?) has not been examined nearly enough. is that Plebs or plebs? OR was it plods? Wonder which is worse. I suppose he could have called them wooden tops, which is of course much worse. I suppose it is too much to ask that the opposition might go for the more interesting story of the police federation playing politics.